Open/Uncrossed Cheque: This is a cheque that doesn’t have any crossings on its face and is payable by cash withdrawal over the counter. Crossed Cheque: This is a cheque that possesses two parallel lines drawn across it and is only payable into the account of the person who presents the cheque. Stale Cheque: This is a cheque that is rejected by the bank based on the fact that it is presented six months after its due date. Bearers Cheque: This is a cheque which is paid to anybody that presents the cheque to the bank; there is no requirement to identify the bearer of the cheque before money is paid. 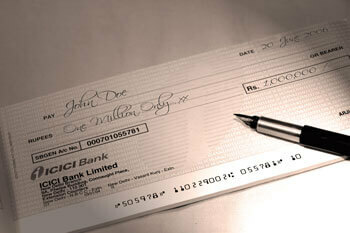 Order Cheque: This is a cheque that is payable only to the person described in the cheque. In this kind of cheque, before payment can be made, the person who presents the cheque has to identify himself as the person stated on the cheque. The terms payee, drawer and drawee are terms that one is bound to come accross when dealing with cheques. If one has no idea of what they mean, it can cause a great deal of confusion. Thus, the meanings of these terms would be highlighted below. “One who directs a person or entity, usually a bank, to pay a sum of money stated in an instrument. for example, a person who writes a check(cheque); the maker of a note or draft”. From the above, it can be seen that a drawer, in the instances of a cheque, is usually the customer of the bank. From the above definition, it can also be seen that the drawee, in the instance of a cheque, is the bank. From the above definition, it can be seen that in the instances of a cheque, the payee is usually the person whose name is on the cheque as the recipient of the cheque. In most instances, the payee is not usually the customer of the bank. It should be noted that a cheque should be presented within 6 months of its date. If not, it would be a stale cheque. The mere fact that a cheque is stale does not discharge the drawer from liability. Also, if a customer has enough credit balance in his bank account and he validly issues a cheque to the bank which for reasons best known to them, dishonours the cheque, the customer would be discharged from liability. In this circumstance, the holder of the cheque would be regarded as the creditor of the bank. Also, if a person who sold goods to the drawer and the drawer’s cheque is dishonoured, instead of suing for the dishonoured cheque, he can sue for the goods sold, received or delivered. Undated Cheque: if a cheque is not dated, a bank is at liberty to either honour or dishonour such cheques. Conflicting Figures and Numbers: A cheque whose numbers and figures are not in correlation would be dishonoured by the bank. An Altered Cheque: Cheques that have alterations on them would also not be honoured. However, if the signature of the drawer is affixed on the alteration, the cheque would be valid. Unidentical Signatures: A cheque would not be honoured if the signature on the cheque doesn’t correlate with the signature of the account holder. This is in order to prevent forgery of signatures. It should be noted that a cheque is not invalid by reason that it is post dated or dated on a Sunday. The relationship between a banker and a customer is a contractual one and a breach of such contract would entitle the aggrieved party to an action for damages. 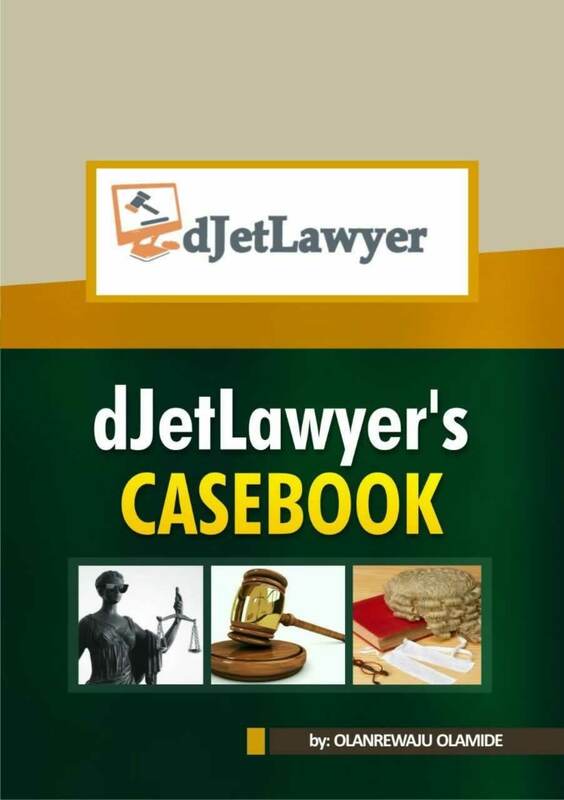 For example, in the case of Mai vs STB Ltd (2008), the appellant, a customer of the respondent bank asked the bank to pay a cheque to his daughter and another person. Although the customer had enough in his account, the bank dishonoured the cheque. On further enquiries it was discovered that the dishonouring of the cheque was due to a ‘stop-order payment’ request by Standard Construction Company, another of the bank’s customers. The appellant thus sued the bank and requested for damages. At the trial court, judgement was entered in favour of the respondent, hence the appellant appealed to the Court of Appeal. The court of appeal unanimously allowed the appeal. It held that the relationship between a banker and customer is a contractual one and the duty to honour cheques is part of the contract. If the customer has enough funds in his account and the bank, for an unjustifiable reason, refuses to honour his cheque, it is a breach of contract which entitles the customer to a claim for damages. That there was sufficient funds in his account. That the cheque was validly issued. That his signature is genuine. That all the condition precedent are met to warrant payment. That the cheque was wrongfully dishonoured. That the dishonour of the cheque has caused injury to the plaintiff/ claimant’s credit and reputation. In order to measure the extent of damages to be issued, the pertinent question is whether or not the claimant is a trader or a person in a trade/business. If the claimant falls within the above category, he doesn’t need to prove the damage that he has suffered. All he needs to prove is that his cheque was wrongfully dishonoured. For a person who doesn’t fall within the above category, he has to specifically prove the damages suffered by the dishonouring of the cheque. If he doesn’t prove the damages suffered by him, he would just be awarded nominal damages. Also, it would be best to draw the distinction between a trader and a person in trade. A person in trade is someone engaged in an occupation which is usually skilled, but not learned as a way of livelihood. It covers people who sell services like lawyers and stockbrokers. Although these people are not traders, they also fall within the above category and do not need to prove damages. Lecture on Commercial Law given by Dr Adua, Faculty of Law, University of Ilorin. Black’s Law Dictionary 9th edition.